BHFX Digital Imaging is proud to be a business partner of Hewlett Packard. 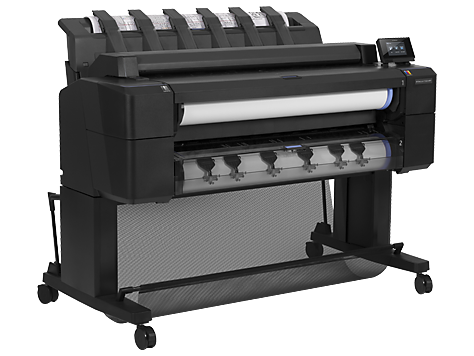 As an Authorized Servicing Dealer of HP Plotters; BHFX has the solution for any size firm or demand. An in-house printer not only can save you valuable time and money but also add a new convenience to your daily workflow. 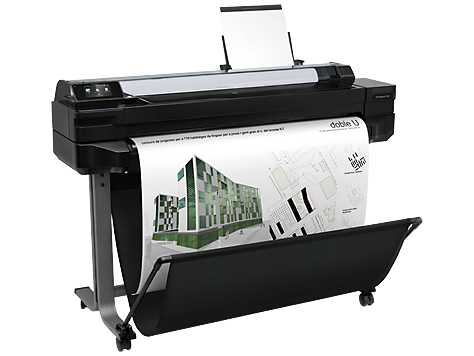 HP Designjet Large Format Printers for graphics and technical professionals are reliable and designed for ease of use. 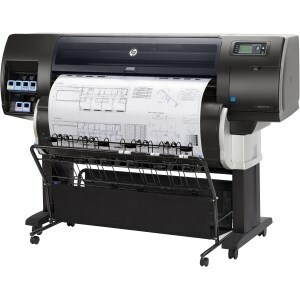 The HP Designjet Printers listed below can print it all; from precise schematics, construction documents, professional photographs and point of purchase signage. 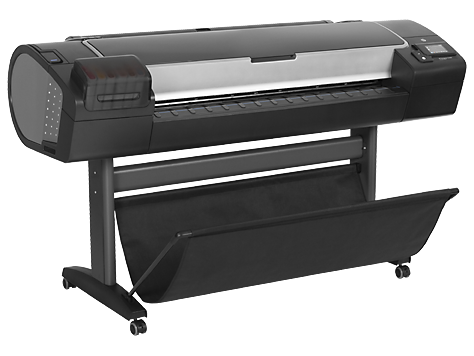 Reliable, accurate, and easy to use; The HP Designjet T520, is a good investment for your studio or home-office. Grow your business with a convenient, large-format printer that allows you to work and print from virtually anywhere with HP Designjet ePrint & Share. Improve your printing experience and print from virtually anywhere and from the cloud with HP’s Designjet ePrint & Share. Expect perfectly stacked and collated prints with the HP T930’s new output stacking tray. The HP T930 is a newly designed, Web-Connected ePrinter with breakthrough usability! This newly designed, 2-Roll ePrinter is ideal for the most demanding of teams. Eliminate output clutter and get flat, collated prints with HP’s new integrated output stacking tray. 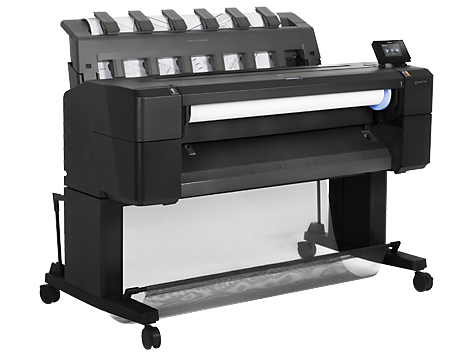 The New HP Designjet T1530 offers a compact 36” design that helps minimize downtime with automatic paper switching. Print, Scan & Copy with a single device with newly designed, 2-Roll ePrinter with Scan and Copy capabilities. The New HP DesignJet T2530 eMFP offers a compact 36” design for the tightest of spaces, while eliminating output clutter, with its integrated document stacker. HP’s most productive Large-Format Monochrome & Color MFP. The HP T3500 eMFP is built for high volume printing with dual roll capacity and blazing prints speeds in both monochrome and color. You can Print, Copy & Scan and rely on a robust design to fulfill the most demanding jobs. This High-Speed 2 Roll (with optional 3rd roll) HP DesignJet T7200 provides inkjet quality with toner-based speeds. 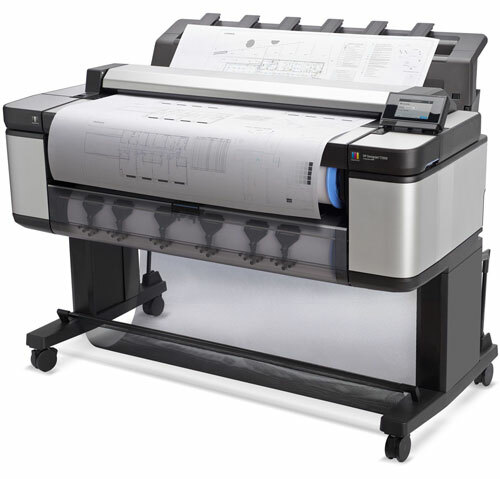 The versatile HP DesignJet T7200 can produce low-cost CAD drawings and high-quality color documents all in one printer. A true workhorse for all your CAD Printing needs. Expect consistent color from print to print with the HP DesignJet Z2100. Ideal for professionals who need to deliver stunning and compelling output that lasts. 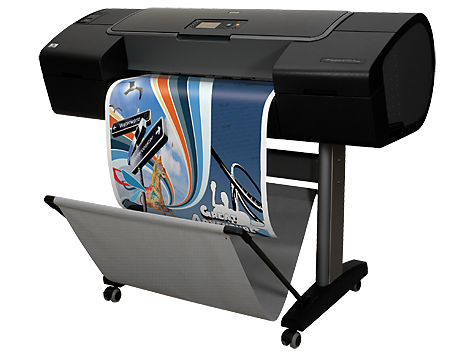 The HP Z2100 Photo Printer delivers superior quality, durability and consistency. Count on HP for printing that is easy, reliable and predictable. Produce Gallery Quality B&W & Color Prints with the HP DesignJet Z3200. This 12-Ink Photo Printer delivers long-lasting, gallery-quality prints in color and black-and-white. It enables easy calibration profiling with its embedded spectrophotometer and also delivers great ink efficiency. You will experience dependable, high-quality results on a range of applications with the versatile HP Z5400 Postscript Printer. Count on a truly dependable experience with a built-in Postscript interpreter for in-printer processing of PS and PDF files. Print and handle High-Quality Photo Images without losing time with HP’s fastest heavy-duty photo printer. Significantly boost productivity with the HP DesignJet Z6200. Turn around your work in record time with the fastest printer in its class and HP’s trusted and reliable technologies.